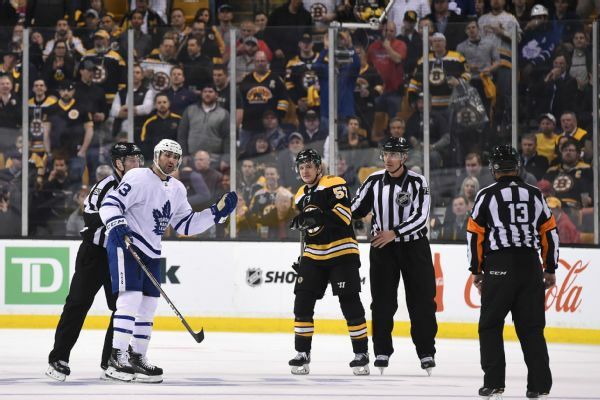 Maple Leafs forward Nazem Kadri has been suspended three games for his vicious hit on Bruins forward Tommy Wingels in Game 1 of the teams' playoff series. 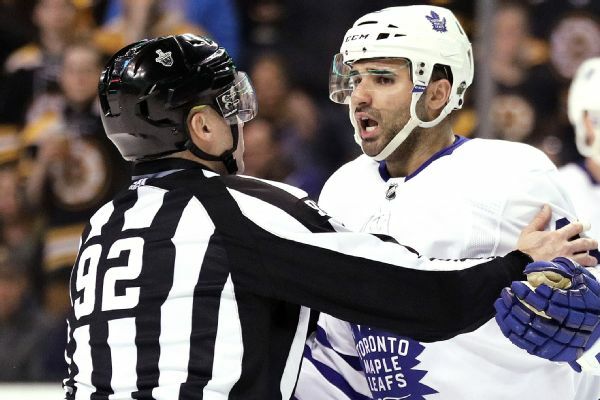 Toronto's Nazem Kadri will meet with the NHL after his leaping hit drove the head of Boston's Tommy Wingels into the boards during Game 1. Blackhawks forward Tommy Wingels broke his left foot during offseason training, but is expected to be ready for training camp. 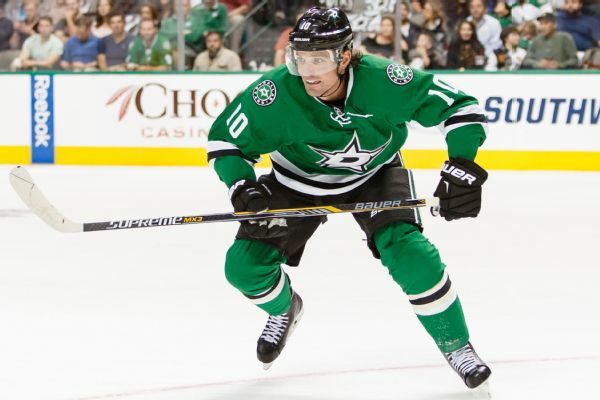 Patrick Sharp is joining the contingent of former Blackhawks reuniting in Chicago after agreeing to a one-year contract. 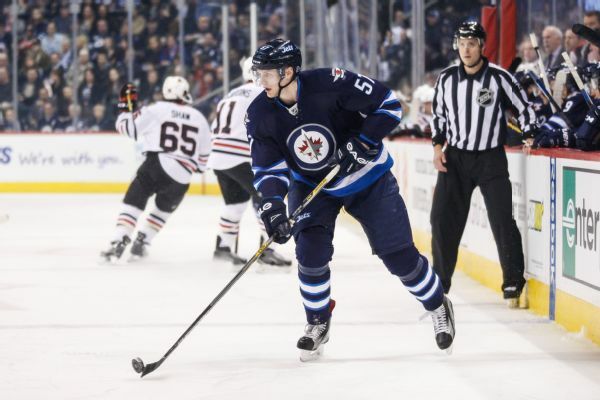 The NHL Department of Player Safety will have a hearing with Jets defenseman Jacob Trouba on Monday for an illegal check to the head of Senators forward Mark Stone in Sunday's 3-2 Winnipeg win. Forward Tommy Wingels was traded by the Sharks to the Senators on Tuesday, with two minor leaguers and a 2017 seventh-round draft pick headed to San Jose. Sharks F Tommy Wingel shares his thoughts on being down 3-1 in the series against the Penguins and sheds light on how the team plans to recover from the deficit. 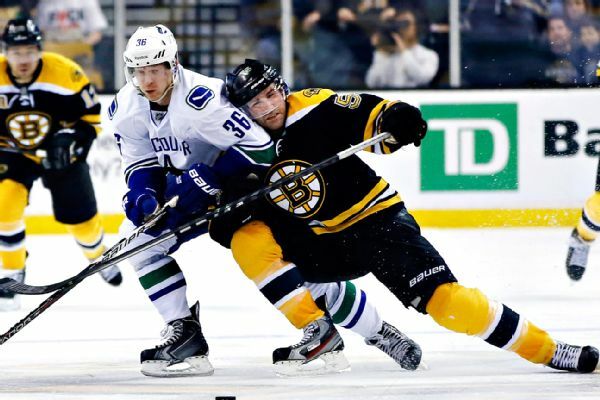 Vancouver Canucks forward Jannik Hansen was fined $5,000 by the NHL on Wednesday for an illegal check to the head of San Jose Sharks forward Tommy Wingels. 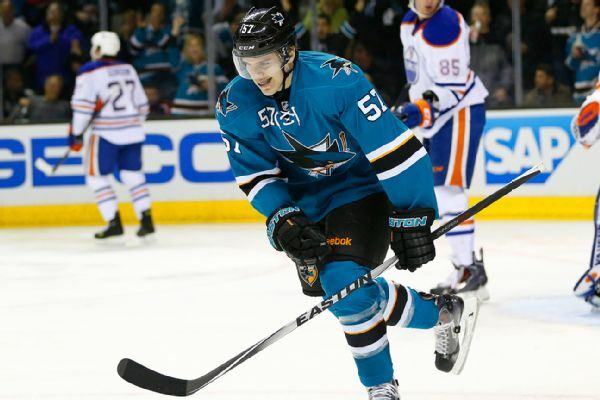 The San Jose Sharks have agreed to a three-year contract with restricted free agent forward Tommy Wingels.